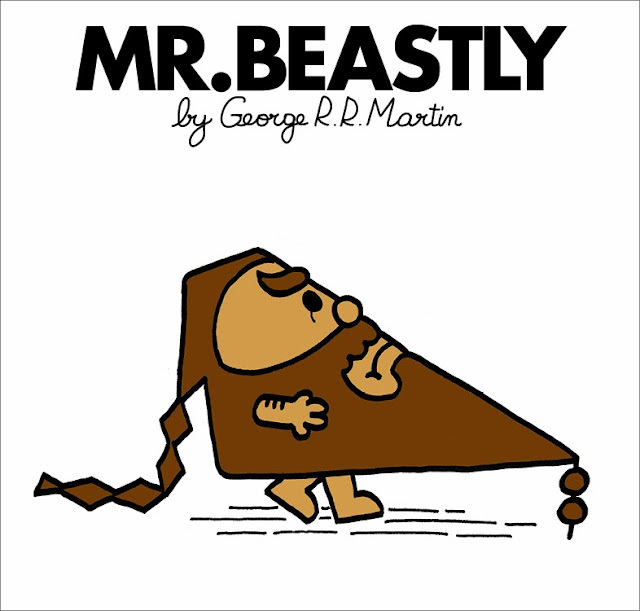 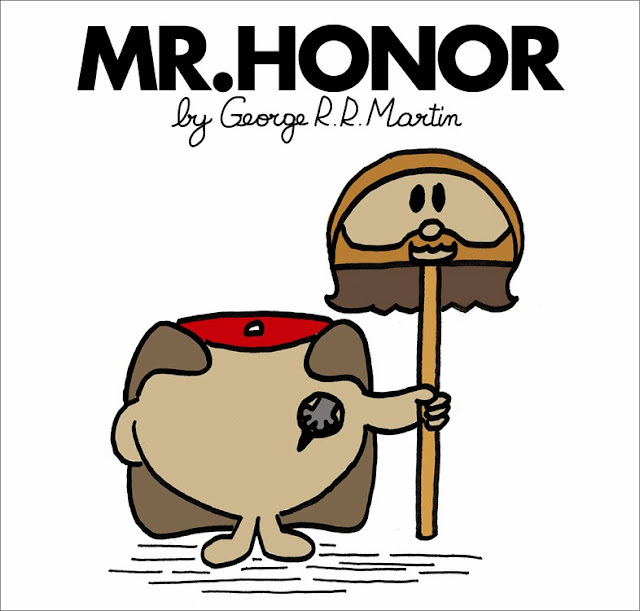 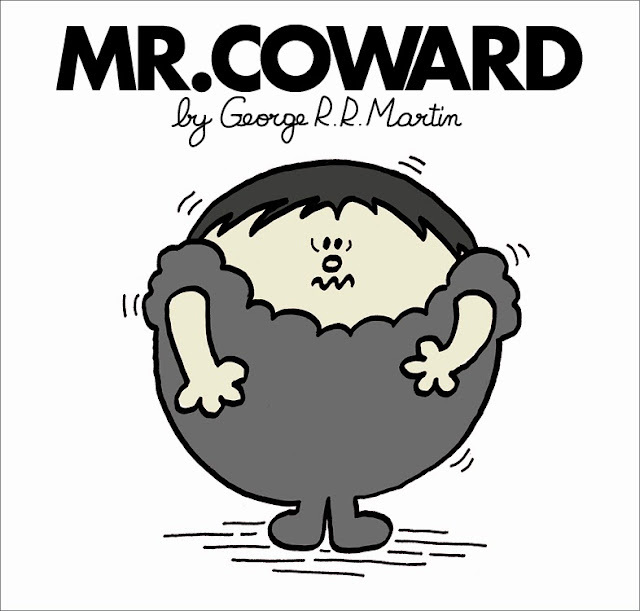 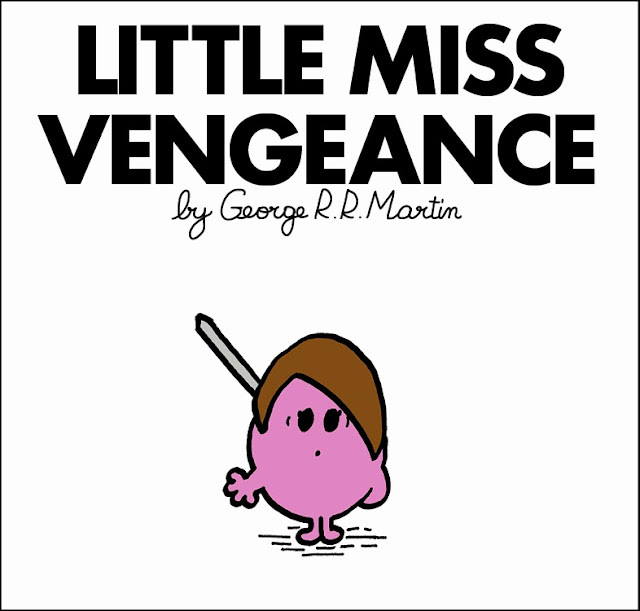 Take Ned Stark, Joffrey, Arya, Littlefinger, Khal Drogo, Samwell Tarly and boil them down to their core characteristic and you have the Game of Thrones as Mr. Men and Little Miss books. 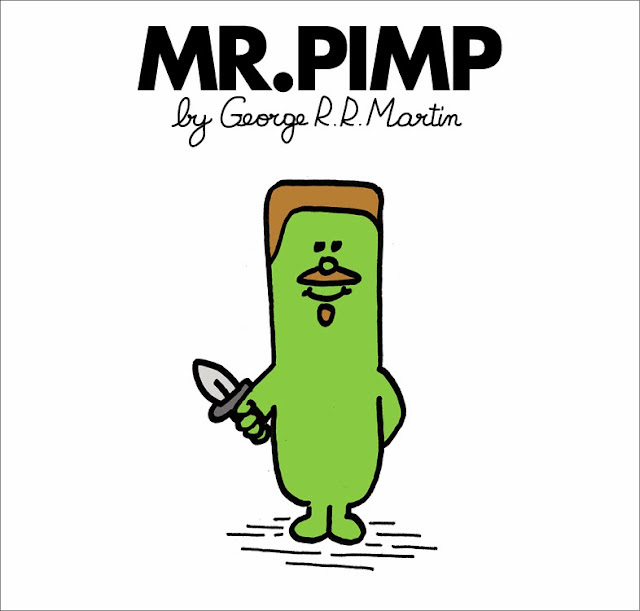 The tumblr mrandlittlemissgot.tumblr.com is drawing 30 of the GOT characters over the next few weeks. 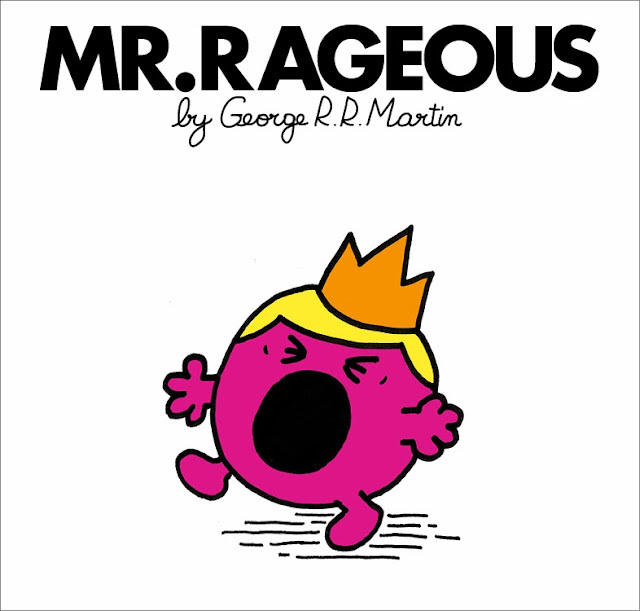 These are the first six - and I'd love to read Mr. Rageous.